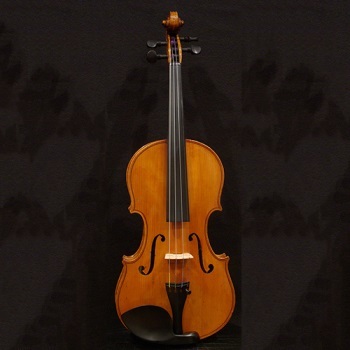 The Bruno Company was an importer and seller of violins from Germany during the early 20th Century, and this instrument would have been from their intermediate line. The spruce top is wide grained but even, and the maple ribs and back are fairly plain in figure. This instrument has been well-played and loved during its lifetime, and previous owners took good care of it. It would be a perfect instrument for an advancing student.